With the release of vSphere 6.5, the installation of vCenter appliance just got a whole lot easier. Earlier, we required client integration plugin to be available, and then the deployment was done through a browser. And as we know, client integration plugin had multiple compatibility issues. Well, no more of client integration plugin is used. The deployment is going to be via an ISO which would have an installation wizard that can be executed on Windows, MAC or Linux. The vCenter Server Appliance consists of a 2-stage deployment. 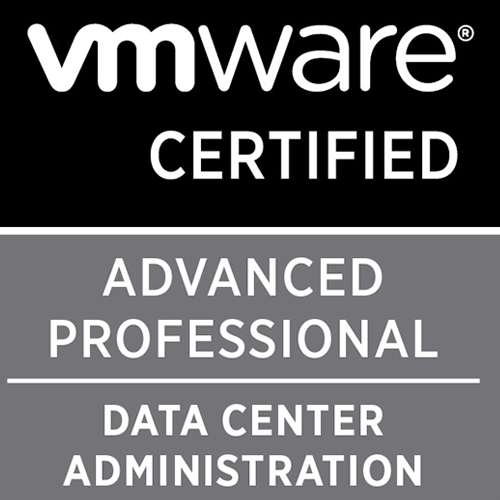 Download the vCenter Server appliance from this link here. Once the download is complete, mount the ISO onto any machine and run the installer. You should be seeing the below screen. We will be choosing the Install option as this is a fresh deployment. The description then shows that there are two steps involved in the installation. The first step will deploy a vCenter Server appliance and the second step will be configuring this deployed appliance. Choose the type of deployment that is required. I will be going with an embedded Platform Services Controller deployment. Next, choose the ESXi host where you would like to have this vCenter appliance deployed and provide the root credentials of the host for authentication. Then, provide a name for the vCenter appliance VM that is going to be deployed and set the root password for the appliance. Based upon your environment size, select the sizing of the vCenter appliance. Select the datastore where the vCenter appliance files need to reside. Configure the networking of vCenter appliance. Please have a valid IP which can be resolved both forward / reverse prior to this to prevent any failures during installation. Review and finish the deployment, and the progress for stage 1 begins. Upon completion, you can Continue to proceed to configure the appliance. If you close this window out, then you need login to the web management page for VCSA in the https://vcenter-IP:5480 to continue with the configuration. In this scenario, I will choose the Continue option to proceed further. The stage 2 wizard begins at this point. The first section is to configure NTP for the appliance and enable Shell access for the same. Here, we will mention the SSO domain name, the SSO password and the Site name for the appliance. In the next step, if you would like to enable Client Experience Improvement Program, you can do so, else you can skip and proceed to completion. Once the configuration wizard is completed the progress for Stage 2 begins. Once the deployment is complete you can login to the web client (https://vCenter-IP:9443/vsphere-client) or the html 5 client (https://vCenter-IP/ui) The HTML web client is available only with vCenter server appliance.